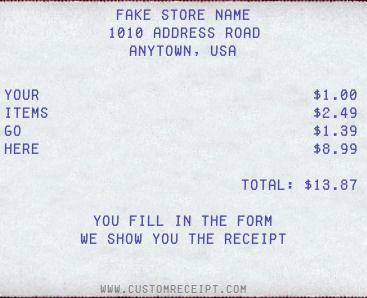 "This tool lets you make your own custom receipts. Customize your receipt below and press the 'Make the receipt!' button. Your custom receipt will be shown (containing the text that you entered) in the space above."